Buy a cup of coffee. Gain a friend for life. 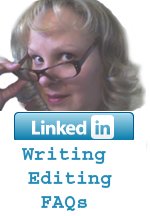 Receive a 10% discount on any service from Write Way Designs! You know the deal. Your head feels foggy and it's past 10:00 AM. You feel tired, lethargic, and headachey. Then it hits you. You never had your coffee! As President of Write Way Designs, Susana Rosende is the fearless leader! As such, she must stay alert to the changing needs of her team, company, and especially -- clients. Susana continuously juggles the myriad needs of the Write Way Designs writing and design projects, clients, staff, and consultants. She writes and designs. She never stops! 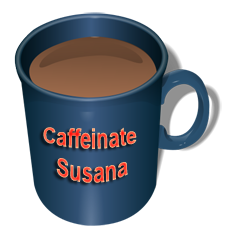 The Write Way Designs team, and Susana's friends and colleagues, are acutely aware that to be at her best, Susana needs an adequate amount of caffeine. Her friends also know her penchant for espresso, cappuccino, café cubano, café con leche, American coffee, Starbucks® Caramel Macchiato, tea, hot chocolate, Cocoa Cola,® and Pepsi® products, and Red Bull®. 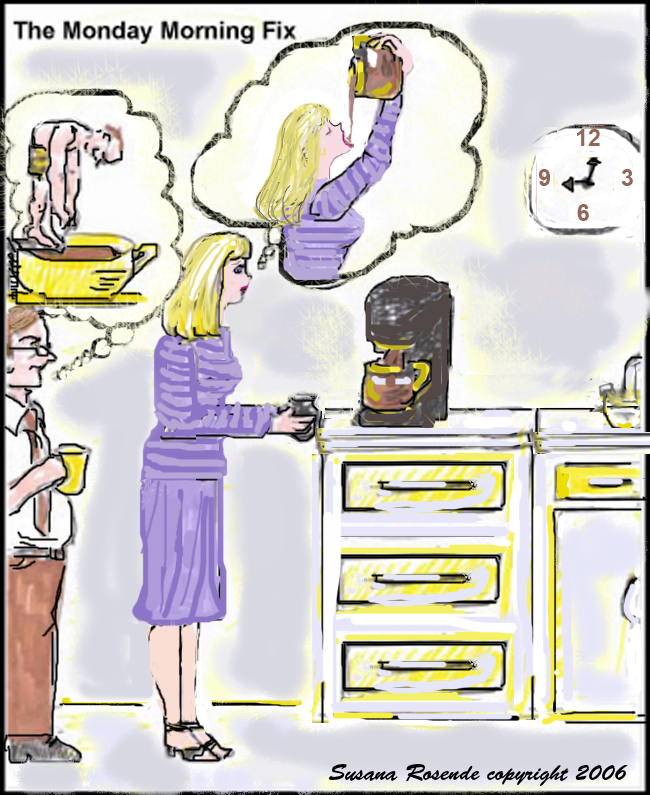 Clients, staff, and colleagues can attest to how a cup of coffee enables Susana to make Magic at Write Way Designs. But, in these tough economic times, although Susana and her team can make themselves available round-the-clock to clients throughout the world, coffee is not always available, 24/7, at the office. Why not help Write Way Designs? 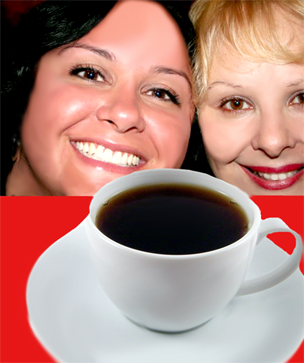 Be a friend to Susana, and get her some caffeine today! 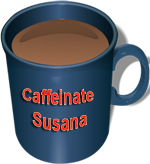 To ensure a bottomless supply of coffee for Susana and her team at Write Way Designs, please click the blue Caffeinate Susana coffee mug below, and then donate to her coffee fund today! Not only will you have donated to a great cause, you will have gained a friend for life! What's more, when you submit your donation receipt with your payment, you'll receive a 10% discount on your project! Please select how much coffee to donate, and click coffee cup. Donate today to provide coffee for Write Way Designs. President Susana Maria Rosende, and the staff, consultants, and clients of Write Way Designs will be eternally grateful. Your good deed will not go unnoticed. Susana Rosende will do anything for her friends, and she'll appreciate your generosity by giving you a 10% discount for services rendered on your project! But, after all, what are friends for? Maybe The Beatles said it best. Click below for the YouTube.com video I Get By with a Little Help from My Friends by The Beatles. Ahhhhh! Fresh-brewed coffee and music by The Beatles. Who could ask for anything more? 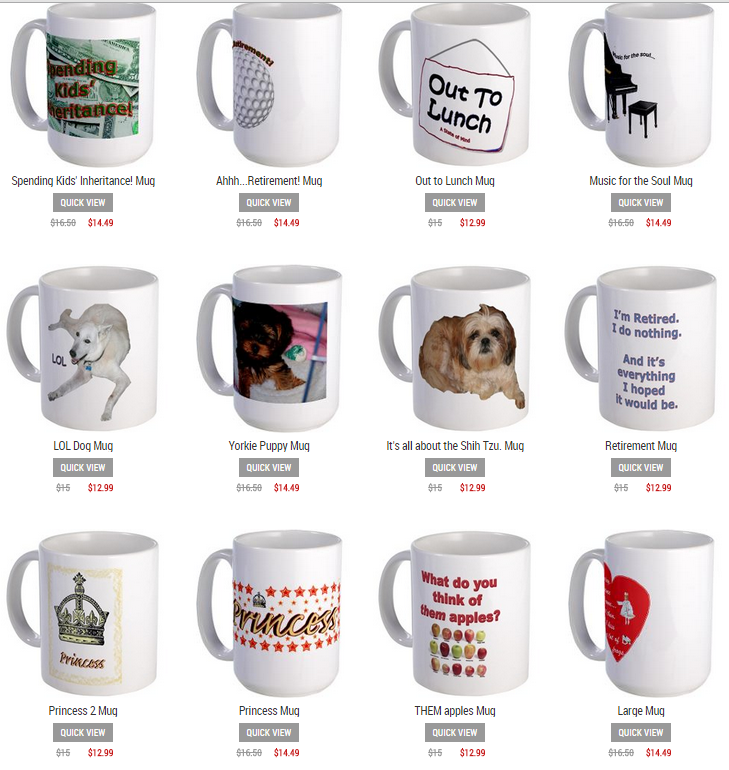 For your coffee, choose from a selection of coffee mugs designed by Susana Maria Rosende! Click here! Starbucks® will serve you a stronger cappuccino if you specifically ask for a short cappuccino (at 8 ounces, a third smaller than the Tall, the smallest size on the official menu). You will also be charged less. The same goes for the short latte and short coffee. Remember to think SMALL (or short), not TALL. Read more: Starbucks® Economics by Tim Hartford of www.slate.com. Click image for more cartoons. Do you ever wonder exactly how much caffeine you consume on a daily basis? It may be more (or less) than you think, depending on your favorite drink. SOURCES: National Soft Drink Association, US Food and Drug Administration, Bunker and McWilliams, Pepsi, Slim-Fast. Write Way Designs TM, Inc.
Susana Rosende, President of Write Way Designs, Executive Director of Communications, Senior Staff Technical Writer, Technical Editor, Marketing Copywriter, Content Strategist, Creative Author, Translator (English/Spanish), Illustrator, Photographer, Painter, Cartoonist, Designer.